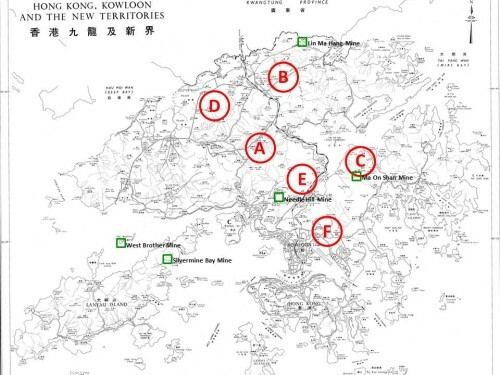 Tymon Mellor: In the late 1960’s the HK Government commissioned a comprehensive geological survey of Hong Kong, to establish and document the territories geology. 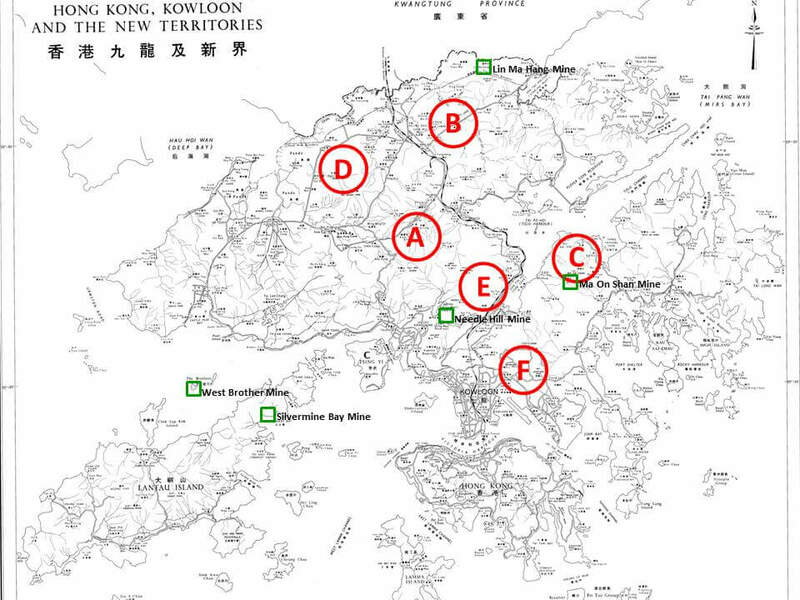 The Geological Survey of Hong Kong, was undertaken between 1967-1969, and published in 1971. The report was prepared by the Overseas Division of the Institute of Geological Science, working for the Ministry of Overseas Development (London) and the HK Government. In addition to the published document, a study was also undertaken to identify possible mining locations for mineral extraction within the territory. Six areas were identified prompting a confidential review to be undertaken to see if follow-up works should be undertaken. The geological team analysed trace elements within the stream sediments to look for signs of mineralisation. From this assessment they identified the six main areas of interest. It was recommended that a detailed geochemical prospecting and geological survey be undertaken to establish the nature and extent of the mineralisation. The Commissioner of Mines, sought views from the District Commissioners, the directors and chief engineers of the affected departments and the director of Agriculture and Fisheries. The Commissioner noted that making land available for commercial prospecting and mining was highly unlikely, given the difficulties encountered with previous applications. Ngau Chi Wan area – the foot hills of Kowloon Peak, the nearest records of prospecting were on Devils Peak where mineral veins were discovered and horizontal trial adits excavated to extract the wolframite and beryl minerals, no commercial mining operation were recorded. The Director of the Agriculture and Fisheries noted that mining operations could affect farming by causing damage to crops and livestock, give rise to silting, erosion and interrupt the water supply. No one seemed to worry about the environmental impact! The Director also provided details of the importance of the areas in terms of land use and production; the latter being of the order of HK$67.3 million (1971 values) per year. Within five years, all mining operations had ceased in Hong Kong.